Scott – From reading your bio, I know that Naomi isn’t your name, but our readers may not. What’s the story there? Naomi – I learned my love of reading and writing from some very strong women and take my pseudonym from them. I was adopted and my adoptive mother’s maiden name was Frances Rourke. My grandmother’s maiden name was Katherine Brett. Sadly, neither of these women are alive anymore. My grandmother, a feisty Liverpudlian, read to me for hours every day. My mother, Frances, read fiction. She had a sewing room where all her books lived in shelves across three walls. I went in there and picked book after book — mysteries, horror, The Godfather. So now we have Brett and Rourke, where did Naomi come from? In 1999, I had the thrill of meeting my birth mother, Sylvia Gullikson Brackebush. She told me that if she had been able to keep me, she would have named me Naomi. This was another brave and strong woman, although she would be the first to say she wasn’t. I honor these women with my choice of a name: Naomi Brett Rourke. It’s a mouthful. Scott – Naomi, it is! Your background isn’t only literary. It’s theatrical. You’ve directed several full-stage productions, many of them classics. How did you end up in theatre? Naomi – I have always been a little theatrical. The first play I was in was the Christmas play when I was in kindergarten, I think. I was the Christmas Angel. I decided I wanted to be an actress very early and I acted, sang, and danced whenever I could in school. I wanted to major in Theatre Arts in college but my father told me to go into computer programming. I went into the bookstore and picked up the textbook – Linux or DAS or some such thing – opened it, read a couple of lines, and said, “nope.” I closed it, put it back, and signed up for Theatre and English. Dad wasn’t happy but he eventually got used to it. I acted on stage for years, for television, and film – nothing big. I directed plays in my community and for the local mall and senior centers. It was rewarding, and I finally decided I wanted to teach. I double-majored in English and Theatre Arts so I was a perfect pick for a school with a Drama program. I directed a straight play in the fall and a musical in the spring, with a night of scenes – three or four productions a year for ten years and I did almost everything on my own. I loved working with the kids but when I developed pneumonia three times in one year, it was time to quit. After I got better I was amazed at the amount of time I had, so I started writing. As they say, there is a time for every season…. It’s my season for writing, which I will probably do until I keel over. Scott – Pneumonia three times in one year? No thanks! But with a decade of teaching, you probably have more than a few takeaways to share. What’s the one thing all of us could do to learn about writing or the stage? Naomi – Writing? Oh, so much. I have to laugh at the writing of high schoolers right now. They have been on social media practically since they’ve been born and I see things creeping into their writing like “I’m going 2 the store” or “I’m @ the mall now.” It drives me crazy. Also, I wish people could learn the difference between “their,” “there,” and “they’re.” Although, I’m a nice one to complain – I skip personal pronouns all the time. I say, “driving there now” rather than, “I’m driving there now.” Maybe it’s a California thing. I love teaching English because it keeps me on my toes for my own writing. I’m constantly telling my students about imagery, subject/verb agreement, and “show don’t tell” and everything else, and it stays in my mind when I sit down to write. I still need a good editor though. I think everyone does. At least I’ve managed to identify my most common mistakes so I can avoid them. Most of the time, anyway. Stage? One quote from Alexander Pope: “Act well your part; there all the honor lies.” I believe this on stage and off. Scott – Duly noted. I understand that, on top of everything else you do, you’ve got a huge family. Children, step-children, grandchildren, three cats and a dog. And a tortoise — which I’m sure takes up the lion’s share your time. How do you find time to write among all the other things you do? Naomi – Well, they are all adults so only one daughter and one grandchild are in our house right now. They are moving in September, though, so my husband and I will be empty nesters…again. It happened once before and some of them came back! We love our children and will always make room for them if they need a place. I think, I hope, most parents would. That said, when my daughter started working at home, she took over my office. With all the people in the house, there’s usually a television or music playing somewhere. It can be challenging to find a place to write. Sometimes, I just have to put on my headphones and bear it. Natural noise works well – wind, rain, crashing waves, frogs…all the things I don’t hear much in my corner of the city. I find little moments to write: waiting for the grandson to get out of dance class, lunch times, and odd moments when no one’s around. Summer vacations are the best time for writing. Scott – Writing on summer vacation? That’s what reading is for. And you’ve got to read! Every writer does. What authors and stories really draw you in? Naomi – I love mysteries, thrillers, crime, and horror, so most of what I read comes from authors like Stephen King, Dean Koontz (his novel Intensity is the most frightening book I have ever read,) Michael Crichton, and the like. Philippa Gregory’s historical fiction is compelling and perfect beach reads. Tony Hillerman’s Native American novels are fun reads. I just read a story by Rebecca Roanhorse, a Native American author, and I’m looking forward to reading more of her work. When I was younger I was a big fan of Mary Stewart and Phyllis Whitney. I think Stewart’s Merlin Trilogy is still one of the best things I’ve ever read. When I finished reading Crichton’s Timeline, I went right back to the beginning and read it again immediately. If I like a book I’ll read it again and again. I read mostly fiction but Stacy Schiff is wonderful with nonfiction and I’ve read her The Witches and Cleopatra. And, of course, I’m always reading weird stuff like true crime to propel my writing. I recently found out that Jack the Ripper’s last victim was pregnant so that sparked a storyline for me. Scott – That last bit there, about Jack the Ripper and sparking a storyline. That’s not something that happens to every reader. In fact, many readers never even think about becoming writers. What prompted you to take up the craft? Naomi – I wanted to become a writer when I was young and my father always said I would be a wonderful writer. I wrote horrible poetry. In college, a poetry professor said my writing was “schizophrenic.” I was crushed and stopped writing after that. The next time I wrote fiction was after I had a stroke at 37 years old. I lost a lot of my vocabulary. Years after the stroke, I was trying to improve my vocabulary to what it had been before and I wrote a humorous nonfiction story. My husband read it and suggested I send it out for publication. I scoffed but did anyway. No one bought it, but the fire was lit. 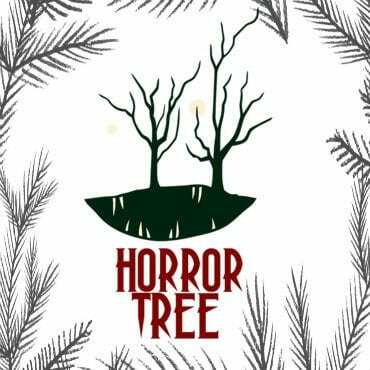 On a whim, I wrote a horror short story and sent it off and it was purchased almost immediately by a London horror magazine. I continued writing from there on out. By the way, that initial nonfiction short story? That sold and has been reprinted twice. Scott – Congrats! That kind of success is definitely a huge motivator. How does your love of theatre play into your writing? Naomi – Theatre is a big part of my writing because of all the character work that goes into making a good character onstage. I was already well-versed in character study and motivation and those skills make it onto my pages. Character arcs and the three-act structure help. Having a good imagination when you read plays helps. One of the things I mourn is the lack of imagination in our high school students. It’s as if the video games and the internet have taken all their natural imagination away; everything is provided for them. I hear students say that they don’t like to read and don’t like to read plays. It takes imagination for both. Although, give me students and Shakespeare and I’ll make believers out of them! Scott – You mentioned character arcs and three-act structures, which means it’s time to ask: Start to finish, what does your writing process look like? Naomi – It varies. Once I had a very complex dream and I woke up, told my husband, and wrote it down. It came on the page almost exactly as I dreamed it. I knew when Tim was crying at the end that it was good. If I’m writing for a client, of course, I’ll take the events that they want and craft a story around that, but mostly I write when I’ve got an idea for a story that won’t go away, and I’m not too picky about genre. I mix genres all the time. Scott – It sounds like you have a set of preferences when you settle in to write. No TV or lyrical music. You mentioned earlier that natural sounds – waves, forests, etc. – work for you. But what about habits? What are a few key habits any writer should strongly consider? Naomi – Write every day and have a schedule for your writing. I’m trying to do this – not succeeding every day – but I’m trying. I’m so new to writing that I have a hard time telling anyone what to do but I will say to take as many workshops and go to as many conferences as you can. Take every speck of information and use what works for you. I took a workshop from Jack Ketchum called “Writing from the Wound.” It was enlightening, and I’m so sad he’s gone. Loren Rhodes told me at a conference, “If you’re uncomfortable with your writing, it must be good.” I think a lot of people are afraid of going all the way. I’m afraid sometimes and I’m trying to push through. We’re all afraid of what people will think, what people will say. We’ve got to be true to ourselves and speak our truth, however that may ache. Lastly, Steven King wrote a nonfiction book called On Writing and he’s got much better suggestions than I could ever have. In her book Bird By Bird, Anne Lamott has, too. 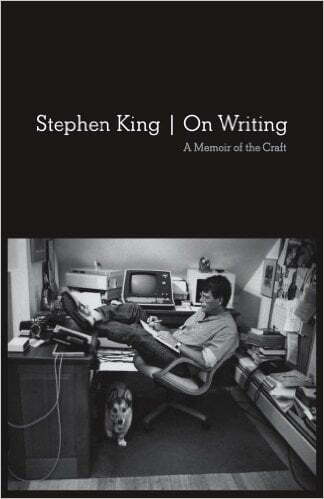 Scott – Good advice, and great books on writing to boot. What’s the one thing you wish someone would’ve told you when you were first starting out? Naomi – Never to pay attention to someone who denigrates your work and believe in yourself. However, take constructive criticism and learn from others. Ask for help if you need it. Get a mentor. Join a writing society and participate in a writing group in the same genre in which you are interested. Writers are the most giving of people and are more than willing to share their knowledge with you. Take the rejections and keep on writing. Scott – You mentioned earlier that murder mystery and horror are your favorite genres, but your published work veers more toward the supernatural side of speculative fiction. One of your more recent stories, “Coyote” was published in a Western anthology. Do you have a preferred genre, or do you just go where the story takes you? Naomi – “Coyote” was in a Weird Western anthology so that counts as speculative, right? To me, “Coyote” is a supernatural horror story first, and a Western after. I love writing about Native Americans and have three stories so far (two are published, one is trying to find his forever home) and I’m planning a collection in the future, but again, most of my Native American stories are speculative and supernatural. I write whatever comes into my little head and sometimes that’s a wonderful thing and sometimes it’s a really dark place. The Jack the Ripper piece I’m working on now—dark and scary. My horror is more “Twilight Zone” horror. I don’t really go in for body horror or splatterpunk or that type of horror. I like a calmer, gentler type of horror, if that exists. Scott – Let’s talk about the publishing industry for a moment. You describe yourself as an up-and-coming author. Give us the roadmap that took you from beginner / amateur author to where you are today. I originally wanted to be Edgar Allan Poe so I tried to write like Poe. It failed. No one is Poe except Poe. But I wouldn’t have recognized that fact unless I had read so many of his, and other authors’, works, to have been able to see the difference. I always wanted to be traditionally published and I have been so, but now I am meeting so many self-published authors, I’m rethinking that. I have two short story collections that I’m planning of self-publishing, but I’m still pursuing traditional for my novels. Scott – From your Twitter account (@NaomiBRourke), I saw that you recently attended the LA Creative Writing Conference. Any big takeaways there? Naomi – I attended GenreLA through GLAWS (Greater Los Angeles Writer’s Society) and I found wonderful things about characters, traditional vs. self-publishing, and more. I always take away great information from any conference. I go to as many conferences as I can afford every year. In the next couple of years, I hope to attend MileHighCON and the Ghost Town Writers Workshop in Colorado. I don’t know what it is but Colorado has more writers’ workshops that any other town I’ve seen. Maybe it’s the altitude. My husband and I went to Comic-Con for years before I noticed that they had writing workshops available. I spent the next couple of years going to back-to-back workshops while my husband attended the big movie premiers. I saw him at breakfast and dinner. Scott – Would you say that it’s worth it, these days, to attend conferences in the first place? Naomi – Conferences are great. You get to meet your peers, hobnob with your friends, and introduce yourself to new readers. Panels and classes are informative. I had the honor of hearing panels and attending workshops with the late, great Jack Ketchum, George R.R. Martin, R.L. Stine, Jonathan Maberry, and so many others. I love conferences and conventions whether I work them or sell at them. As a matter of fact, I’m writing this in my down time at FOGcon in Walnut Creek, California, where I’m selling in the Dealer’s Room. Scott – What’s next for you on your writing career path? Naomi – I’m trying to finish my first novel. The first draft will be finished early this year. It’s a mystery and I have plans to make it a series. That’s taking up most of my writing time right now. I’m thinking of self-publishing two collections of short stories, but I’m pretty technologically impaired so I’d have to hire someone to help me or ask tons of favors from friends. I don’t think we’d be friends afterword, though. I’m sure even my webmaster scratches her head at some of the questions I ask, and my children think I’m still in the Stone Age where computers are concerned. I also have another novel halfway written. It’s a supernatural horror story and it’s been a lot of fun to write. The two collections will be one of twisted fairy tales and one of Native American speculative/supernatural stories. I have a finished screenplay but its future is uncertain. I don’t know that much about writing for film and the learning curve would be tremendous. I might keep that for a time and decide what to do with it later. And, of course, I’m still writing short stories and anything else that catches my interest. The girl raised her head and smiled mirthlessly, her eyes glittering. Hetty felt suddenly that the girl was old, older than her years, older than her grandfather and the hills and valleys surrounding the town. She shivered. She’s just a little girl. “The Unknown,” the girl replied. Scott – Okay, last thing. Where can people go to follow you and find out more about your work? Naomi – I’m glad you asked. I can be found at www.naomibrettrourke.com. I’m on Twitter at @NaomiBRourke, Instagram at naomibrettrourke, and people can reach me at [email protected]. I’m also on Facebook at @naomibrettrourke. I’m going to be at USC for the Los Angeles Times Festival of Books on April 21st and 22nd. I will be at the Greater Los Angeles Writers Society (GLAWS) booth on Saturday from 4-6 pm. On Sunday, you can find me at the Mystery Writers of America/Sisters in Crime booth from 3-4 pm. I’ll probably be at the Horror Writers Association booth at some time too. I’ll be at WorldCon in August, only on Thursday, and San Diego Comic-Con, but I’ll be dressed at General Leia. Scott – Thank you for your time, Naomi!